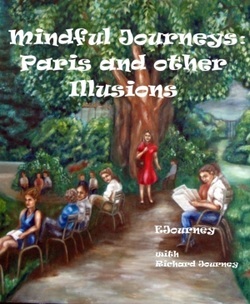 E Journey is a flaneuse writing and illustrating what she sees and loves. In a past life, EJ, who has a dormant Ph.D. in the field of psychology from the University of Illinois, did mental health program research, evaluation and development. 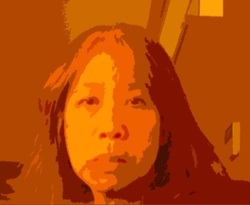 Now, she does art in various media from oils to digital paintings and writes when she feels she has something to say. Some of her musings reside in cyberspace at www.eveonalimb.com and cover four topics: Travel, Tasty Morsels, Art and Such, and State of Being. Her first novel, Margaret of the North, is illustrated with several digital "paintings" she did on an iPad. 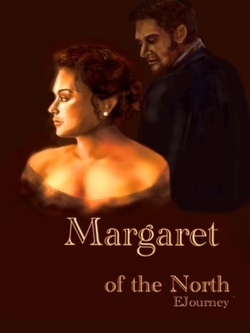 Margaret of the North takes off from a retelling of Gaskell's novel on the BBC series. Margaret is a young woman in Victorian times contending with the press of modernity and industrialization and struggling with the age-old complexities of human relationships. After marrying John Thornton, she faces challenges and influences those around her in her passage into maturity and modern womanhood. The story includes a few illustrations by the author and unabashedly serves up a romance—both Victorian and modern—that just might hit that spot for guilty pleasures. The First 7500 Words, a review blog, says: "This is a sequel to North and South by Elizabeth Gaskell, which I have never read. So I am rating this book off of its own merits. When you read the novel, you understand immediately that these characters all have back stories that are more in-depth elsewhere, but you're not left confused and abandoned. You can read this as a standalone.... Just open a sample.....and you will taste the delicious writing voice that has been so scarce as of late. The author's voice hearkens back to the classics, as is proper for this novel-- a sequel of an older novel..... Margaret of the North is written eloquently and you really feel that the thoughts and feelings of these characters are genuine. The tone of the novel is not forced, but comes naturally. It is evident that the author understands her characters and took a great deal of time getting to know them before committing their story to paper. The plot is obvious but expected in a period piece.....If you want a deep, introspective, maybe even complex adventure of real life issues intercepting relationships, read this novel. If you want the one and only focus to be the characters slobbering over each other, look elsewhere. This novel is written in a tone that is rarely ever seen in our own time. It is a treat." I fell in love with Paris and I cannot keep away. Sadly, I cannot stay, either. So, I come for weeks at a time and linger mindfully. I have learned to do this in my occasional visits to other places: Florence, Milan, Vienna, Munich, etc. This book takes advantage of features unique to ebooks and absent in print.